Antibiotics (Greek anti, “against”; bios, “life”) are chemical compounds used to kill or inhibit the growth of infectious organisms. An antibiotic was originally defined in the 1940s as a substance produced by one microorganism which, in low concentrations, inhibited the growth of other microorganisms. Antibiotics are naturally occurring substances produced by a fungus or bacteria. The use of the term has changed over the years, both because an increasing number of synthetic analogues or derivatives of “true” antibiotics have come on to the market. 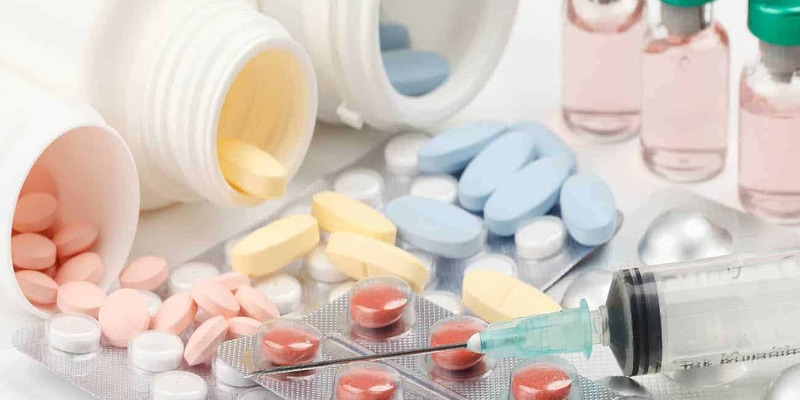 Recently antibiotic refers to a substance produced by microorganisms or to a similar substance (produced wholly or partly by chemical synthesis, which in lower concentration inhibits the growth of other microorganism. Natural source of antibiotics deals with antibiotic production from biological components that include microorganism as prominent source. Natural source may include the antibiotic extraction from bacteria, fungi or actinomycetes. The antibiotic falling under this category are obtained by chemical synthesis. Theseare active against both Gram-positive and Gram-negative organisms. Examples include: tetracyclines, fluoroquinolones, “third-generation” and “fourth-generation” cephalosporins. They have limited activity and are primarily only useful against particular species of microorganisms either Gram positive or Gram negative. For example, glycopeptides and bacitracin are only effective against Gram-positive bacteria, whereas polymixins are usually only effective against Gram negative bacteria. Aminoglycosides and sulfonamides are only effective against aerobic organisms, while nitroimidazoles are generally only effective for anaerobes. For 20 years after their introduction, the penicillins were the only category of β – lactam antibiotics. In the mid 1960s, the penicillin antibiotics was joined by the cephalosporins, and towards the end of the 20th century by carbapenems and monobactams. These antibiotics have the same mechanism of antibacterial action and all possess the β – lactam ring as an integral part of their structure, but they differ widely in other characteristics. The mechanism of action of these antibiotics is cell wall inhibition. These are a class of antibiotics having nucleus of four cyclic rings and all are obtained from soil actinomycetes. The tetracyclines were first developed during the 1940s and 1950s and several that are still in use date from that time, e.g. tetracycline itself, oxytetracycline and chlortetracycline. Doxycycline and minocycline are more potent semisynthetic analogues discovered in 1966 and 1972 respectively, after which there were no significant developments until the introduction, in 2005, of tigecycline (a glycylglycine derivative), which is generally more potent again than other tetracyclines and maintains activity against some organisms that have become resistant to earlier members of the group. Although the tetracyclines can exhibit bactericidal activity by inhibiting ribosome function at concentrations that might be used in the laboratory, they are bacteristatic at concentrations that can safely be achieved in the body. They inhibit protein synthesis by binding to 30S ribosomes in susceptible organism. These are a group of natural and semi synthetic antibiotics having polybasic amino groups linked glycosidically to two or more aminosugar residues. Streptomycin was the first member discovered in 1944 by Waksman and his colleagues. Neomycin was the next to be isolated in 1949 and others members have been produced later. All the members of aminoglycosides are bactericidal and more active in alkaline pH. They act by interfering with the bacterial protein synthesis. All are active primarily against aerobic Gram negative bacilli, but spectrum differs. The macrolide antibiotics are large molecules comprising 12 – 16 – membered lactone rings linked through glycosidic bonds with amino sugars. Erythromycin was the first member of the group to be discovered in 1952 and it is still an important antibiotic today. They are commonly used for respiratory, skin and soft tissue infections. The macrolides all act by inhibiting protein synthesis in bacteria and they are regarded as bacteristatic drugs, although bactericidal activity may be achieved at high concentrations. The antimicrobial activity of erythromycin is pH – dependent, increasing with pH up to about 8.5, and the same effect occurs to varying degrees with other members of the group. These are low molecular weight cationic polypeptide antibiotics. All are powerful bactericidal agents, but rarely used systemically due to toxicity. Bacitracin is one of the earliest discovered antibiotics forma strain of Bacillus subtilis and active against Gram positive organism. Bacitracin acts by inhibiting cell wall synthesis at a step earlier than that inhibited by penicillin. Polymixin and Colistin are rapidly bactericidal agents; have a detergent like action on the cell membrane. The only two important glycopeptide antibiotics currently available are Vancomycin and Teicoplanin. It has a complex tricyclic glycopeptide structure and its large molecular size means that it cannot penetrate through the outer membrane of most Gram – negative bacteria, so its use is effectively restricted to the treatment of infections by aerobic or anaerobic Gram – positive species. Vancomycin is bactericidal to most susceptible bacteria at concentrations near its minimum inhibitory concentration (MIC) and is an inhibitor of bacterial cell wall peptidoglycan synthesis, although at a site different from that of β – lactam antibiotics. Quinupristin/dalfopristin is a mixture of two streptogramins in a ratio of thirty to seventy, respectively. They are derived from a streptomycete and then chemically modified. They act by inhibiting protein synthesis. Chloramphenicol was initially obtained from Streptomyces venezuelae in 1947 and later it was synthesized chemically. It is yellowish white crystalline solid, aqueous solution. It has a nitrobenzene substitution, which is probably responsible for its antibacterial activity. It acts by inhibiting protein synthesis. Fusidic acid is a steroid – like, bactericidal antibiotic used primarily for its activity against staphylococci. It is active against penicillin – resistant strains of aureus , including MRSA, and may be administered in combination with erythromycin or clindamycin for severe staphylococcal infections. Clindamycin is another antibiotic possessing significant bacteristatic activity towards Gram – positive cocci, although rather less activity is shown towards Gram – negative cocci and none at all against enterobacteria. Clindamycin is not related structurally to the macrolides but has a similar mechanism of action, so cross – resistance may occur between them. It is the forerunner of clindamycin and has similar antibacterial and toxic properties but is less potent. Sulphonamides were discovered by Domagk in 1935. It had been shown that a red azo dye, prontosil, had a curative effect on mice infected with β – haemolytic streptococci; it was subsequently found that in vivo, prontosil was converted into sulphanilamide. The basis of the antimicrobial activity of the sulphonamides is their structural similarity to p – aminobenzoic acid (PABA) which is an integral part of the B vitamin, folic acid. In sensitive bacteria, sulphonamides compete with PABA with the result that folic acid synthesis is reduced. Chemical modifications of sulphanilamide gave compounds with higher antibacterial activity or special properties like prolonged activity. The sulfa drugs are seldom prescribed alone. Trimethoprim, a potent inhibitor of bacterial dihydrofolate reductase, exhibits an antibacterial spectrum similar to that of the sulfonamides. Trimethoprim is most often compounded with sulfamethoxazole, producing the combination called cotrimoxazole which was introduced in the mid-1970s. Quinolones are entirely synthetic antimicrobials active primarily against Gram negative bacteria, though fewer fluorinated compounds also inhibit some Gram positive ones. The first member Nalidixic acid was developed as a treatment for urinary tract infections in 1960s and had an antibacterial spectrum that was largely restricted to coli and other Enterobacteriaceae. The distinguishing feature of the first generation is the absence of a fluorine atom at position 6, so they are simply designated ‘ quinolones ’ , whereas the second, third and fourth generations are termed fluoroquinolones. The first generation drugs are now little used, but those that followed in the 1980s, e.g. ciprofloxacin, norfloxacin, ofloxacin and levofloxacin (the L – isomer of ofloxacin) are widely used. Their greater activity is against coli and other Gram – negative urinary pathogens and involve wider antibacterial spectrum which includes Gram positive cocci and Pseudomonas aeruginosa. The fourth generation, e.g. trovafloxacin , are also active against anaerobes. All the quinolones are bactericidal, and act by inhibiting the bacterial enzymes responsible for coiling of DNA. Nitrofurantoin is the one remaining member of the nitrofuran group of drugs that is still in common use. Like metronidazole, nitrofurantoin requires its nitro group to be reduced in order to exhibit antimicrobial activity, and it too exhibits bactericidal activity by damaging DNA. Fungal infections are normally less virulent in nature than are bacterial or viral ones but may, nevertheless, pose major treatment problems in individuals with a depressed immune system, particularly in the case of systemic infection. The antifungal antibiotics includes azoles (imidazole and triazoles), polyenes, echinocandins, flucytosine. Each one has their own respective function or mode of action in treating fungal infection. The antibiotics used for the treatment of tuberculosis belong to a variety of chemical classes, but it is convenient to consider them together in the same section for two reasons: first, most of them are used exclusively for tuberculosis, and second, therapy extends over several months, during which time resistance development is a significant possibility. The combination of isoniazid and rifampicin has been the mainstay of tuberculosis therapy from that time until the present day, although other drugs like pyrizinamide and ethambutol have been added to the combination. The current approach is to treat tuberculosis in two phases: an initial phase of 2 months using isoniazid, rifampicin and pyrizinamide (with or without ethambutol), and a 4 month continuation phase with isoniazid and rifampicin. Second – line drugs available for infections caused by resistant organisms, or when first – line drugs cause unacceptable side effects, include amikacin, capreomycin, cycloserine, newer macrolides (e.g. azithromycin and clarithromycin) and moxifloxacin. Denyer S.P, Hodges N, Gorman S.P and Gilmore B.F. 2011. Hugo and Russell’s Pharmaceutical Microbiology. Eighth edition. A John Wiley & Sons, Ltd. Publication. Page no.169-193. Clark M.A, Finkel R, Rey J.A, and Whalen K. 2012. Lippincott’s Illustrated Reviews: Pharmacology. Fifth edition. Lippincott Williams & Wilkins, a Wolters Kluwer business. 351 West Camden Street Two Commerce Square Baltimore, MD 21201. Page no.381-440. Tripathi K.D. 1994. Essentials of Medical Pharmacology. Third edition. Jaypee Brothers Medical Publishers (P) Ltd. B-3 EMCA House 23/23B, Ansari Road, Daryaganj, New Delhi 110 002, India. Page no.614-716.